Legendary: Legend of the Galactic Heroes, the massive SF-novel and anime-series cycle inspired by everything from War and Peace to Legend of the Three Kingdoms, a story that has cast a shadow across anime roughly the same size that Dune cast over Western SF or Lord of the Rings cast over Western fantasy, is finally, finally, FINALLY being localized. Haikasoru/VIZ has the first three books (more to follow if sales are good, PRE-ORDER); Sentai FIlmworks, of all people, has the TV series. On Blu-ray. Word has swirled for ages about what a difficult-to-impossible deal this would have been to close, so one suspects there was either a negotiations breakthrough or the price for licensing the package finally came down to something manageable by mere mortals. Look for all of this next year; that'll give us plenty of time to save up and not go broke. The other hard part, though, will be talking about it without simply lauding it for the mere fact of its existence (as I've argued). I suspect we'll face similar challenges when/if the late Satoshi Kon's Dreaming Machine(s) finally does come out. How do you deal with something when it's no longer in the realm of myth — when it can be anything you want it to be — but now a real thing, with limitations and flaws? That by itself will be half the discussion, I think. 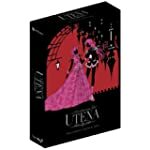 Blu-tena: The second-best announcement of last week (by my standards, anyway) is Right Stuf preparing a release of Revolutionary Girl Utena on Blu-ray. I was pleased when Right Stuf did its DVD reissue a few years back; this seems about as mandatory purchase as it gets for those interested. It's also one of those shows from right before the transition away from film and painted cels to digital animation, so unlike many of the early digital shows that were only created at NTSC resolution (e.g., FLCL), it'll benefit greatly from the HD upgrade. Here's hoping they also package it with the extras that came with the original DVD set. DVD and BD releases are being promised, but it's not clear (apart from the original Gundam) which shows will get what treatment. I am partial to Turn A Gundam from what I've seen of it so far, and would love to see a BD treatment for that series in time. What kept them? 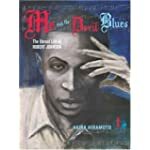 : Akira Hiramoto's Me and the Devil Blues was a maverick piece of work, a fantasia about the life and times of bluesman Robert Johnson. It also ended abruptly after four volumes (released as two double volumes in the U.S.), due to problems with the publisher. Now the fifth volume is on its way at last in Japan, although no word yet of a U.S. release. Here's hoping; this is one of the few manga that survived my last cross-country change of address. From the vaults: Crying Freeman, Cobra, Futaba-kun Change! and a slew of other manga from the '80s and '90s (and believe me, many of them are oh so very '80s and '90s) are suddenly available in Kindle editions. Cheap, too. Distant shores: What's it like to be an anime fan in, say, Zambia? Lauren Orsini investigates. Going Berserk: More wonderful news, as Kentarō "Game of Thrones? Hah!" Miura's Berserk is to resume publishing shortly. Dark Horse continues to carry the series, and it is my sincere hope that eventually they will provide 3-in-1 editions to keep future generations from going hopelessly broke. Uncool: J-rocker Gackt has lashed out at the way Japan's "Cool Japan" program has proven to be anything but. Soft power appears to be a little too soft for his liking here.